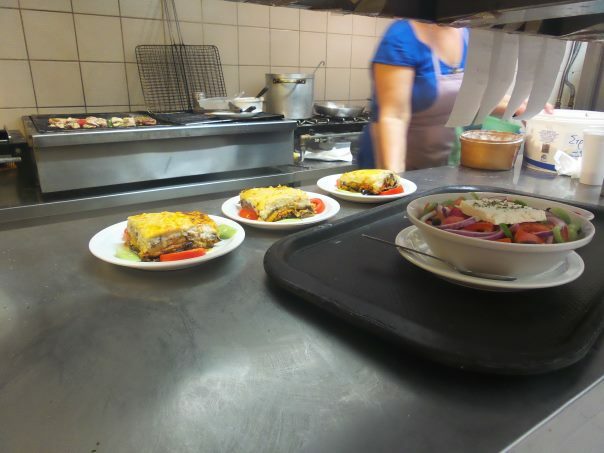 The love for Cretan traditional culinary goes way back for Aristea’s kitchen. In this unique restaurant not only can you taste fishy or meat dishes but also cretan food that was very popular to the locals at the beginning of the century when cretan greens were the only ingredients abundant in those difficult times. 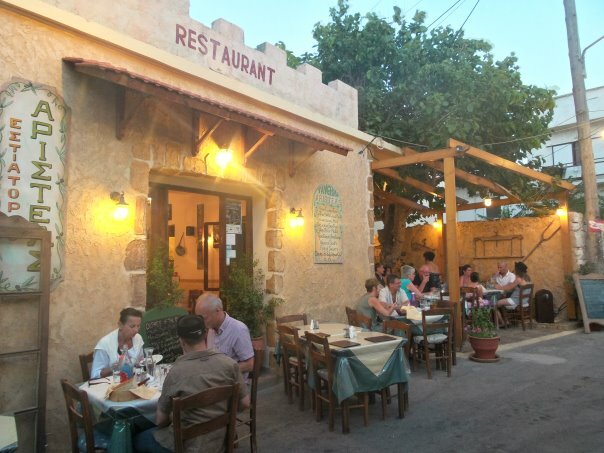 The ambience is sublime, with a yard decorated with exceptional taste, but it is mainly the authenticity of the cuisine, so delicious, well presented and at such cheap prices that you will find yourself simply cling to Aristea’s kitchen for the whole of your stay in Paleochora. 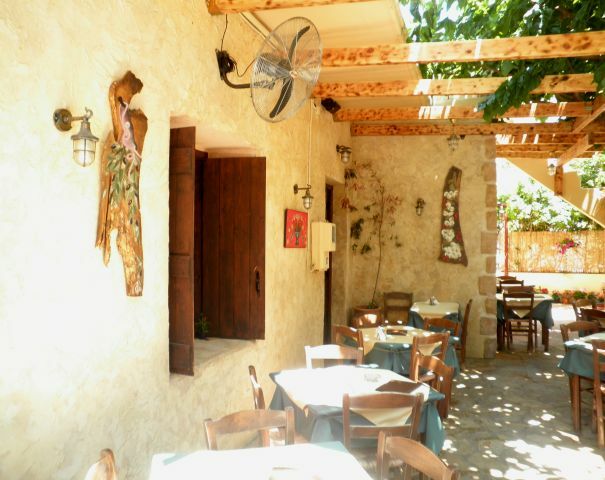 Aristea’s Kitchen is a little gem of a family-run taverna down a side street close to the port in Paleochora. On entering we were given a brief tour of the kitchen to see the traditional Cretan dishes on offer that evening. They all looked so delicious we grabbed a table immediately! 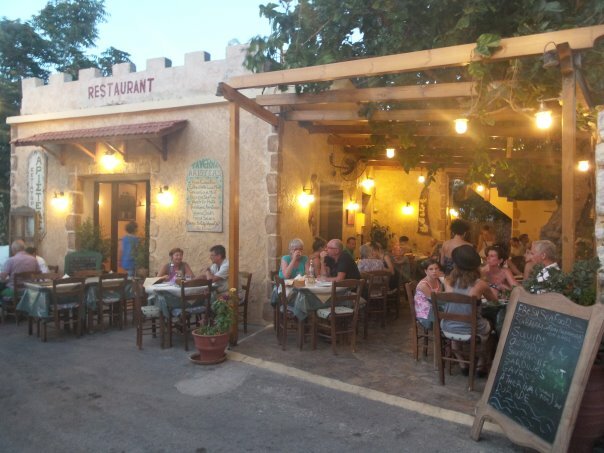 Aristea is the lady who does all the cooking herself… her son is the charismatic major D. The restaurant is everything that a greek taverna should be – there are tables in the quiet road and a very pretty vine-covered patio area to the side. 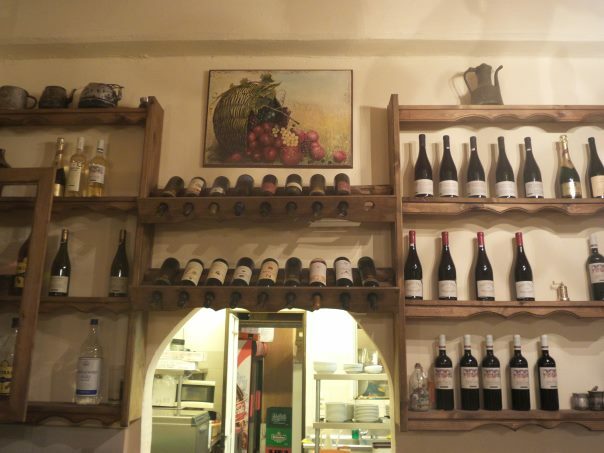 The whole arrangement is very well laid out and tasteful. And the food is just stunning – it tastes as good as it looks. Karen’s slow-cooked lamb stew with fresh herbs, olives, onions and crumbly cheese was accompanied by the best okra she’d tasted. 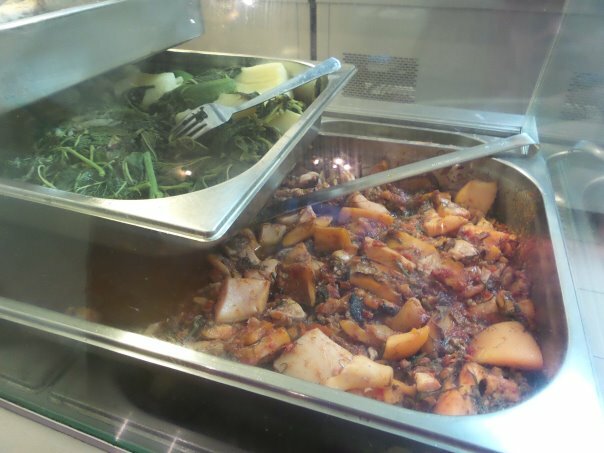 My beef stifado was really excellent and Katie’s lemon chicken was sublime. 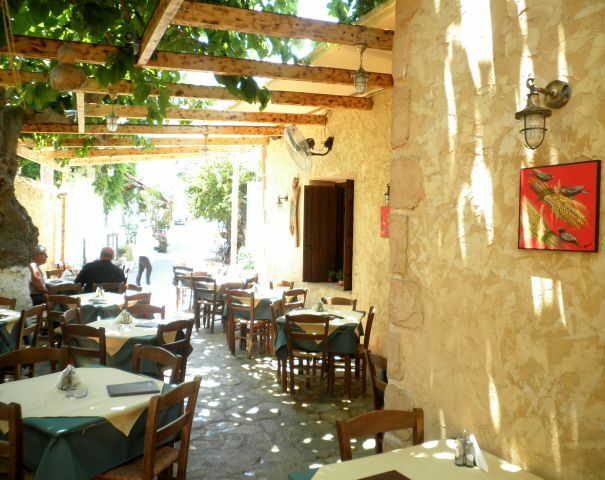 This was the best dining experience we had in Paleochora. Thoroughly recommended!